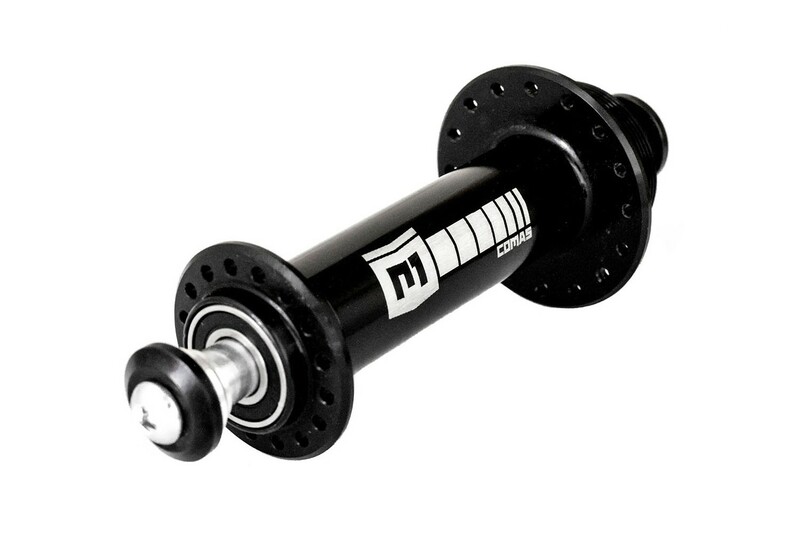 Ultralight Comas HS rear hub, with a CNC-machined shell that allows for high strength with a very low weight. - New ultralight Comas HS 116mm rear hub, specially developed for trials bikes. 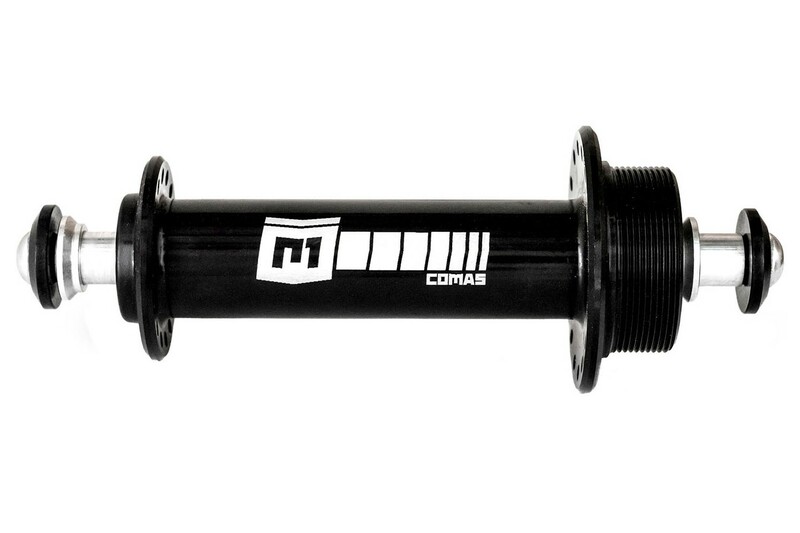 - Used and developed by Comas trials team riders. - Hollow axle, machined to remove any unnecessary material. - The axle and shell are CNC machined from 7075-T6 and 6082-T6 aluminium alloy respectively, to ensure exceptional mechanical properties. - Leaning flanges ease spoke installation, and their minimalistic design helps save weight without compromising strength. - High-quality, replaceable sealed bearings ensure a smooth spin and long lifespan. - Standard 1.37”x24tpi thread, compatible with most screw-on freewheels and sprockets. - 32 spoke holes (32H), with Ø2.5mm diameter. - Uses 4mm spacers to each side of the hub shell. - Supplied with M6x25mm axle bolts and washers. - Frames with 116mm spacing for the rear hub (3mm snail cams must be added). - Rims with 32 spoke holes (32H). 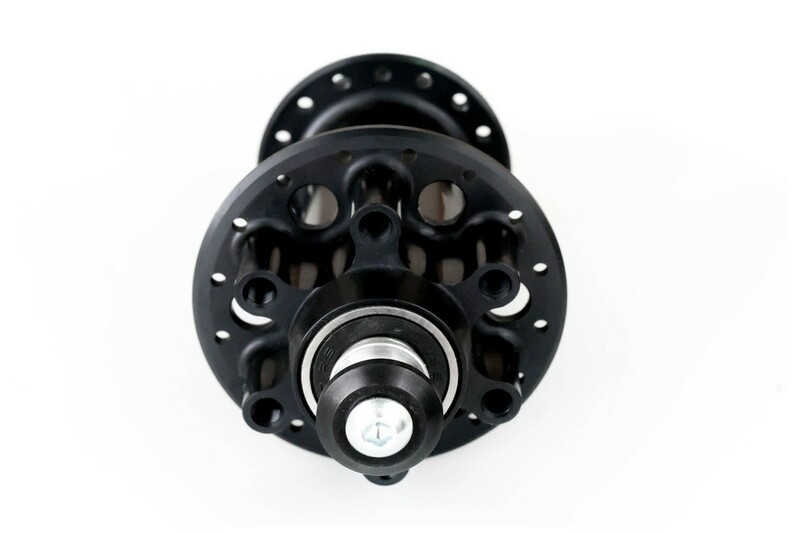 - Anodized black hub shell, with white Comas graphics. - Silver axle and hub ends.